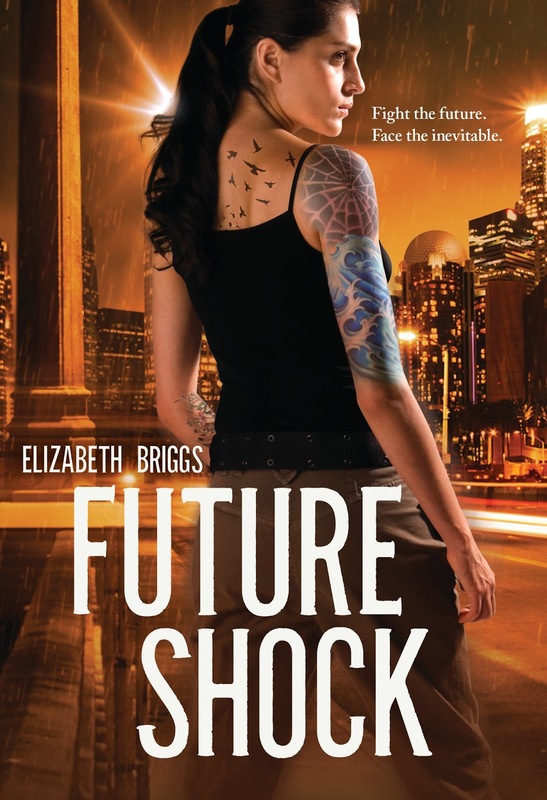 Elizabeth Briggs is a full-time geek who writes books for teens and adults. She graduated from UCLA with a degree in Sociology, currently mentors teens in writing, and volunteers with a dog rescue group. She's the author of the new adult Chasing The Dream series. Elizabeth lives in Los Angeles with her husband and a pack of fluffy dogs. You know, I have seen a nonfiction book with this same title, in used bookstores. It was written back in the '70s, by someone named Alvin Toffler. Maybe next time I go by one of these bookstores, I'll pick it up. What a coincidence, right? Yeah definitely. I saw that one on Amazon while browsing for this book. Oh nice! Been seeing this around here and there lately! Also say it on Netgalley! Hope you enjoy it! This looks fantastic! I love the cover and the blurb sounds exactly like the kind of book that would really interest me. Thanks for sharing! Thanks for stopping by, Carole? This looks like a great Science-Fiction to add to my shelf. I have yet to read her Chasing The Dream series, but I've read some great things about her writing. Adding to my shelf! I haven't started Chasing The Dream either, but like have heard wonderful things. I'd like to read more Sci-Fi books too. I was approved on NetGalley for this book. I can't wait to read it too! Hopefully we both enjoy it! This is the first I've heard of this one, but it does sound good! I keep seeing this one. I'll have to keep a closer eye on it. Nice pick! Time travel books are a hit and miss. So well, see. I can't deny how awesome this sounds, though! This sounds really good. I hope you enjoy reading it!